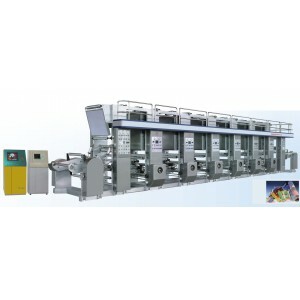 The machine is suitable for multi-color border printing on roll-shape materials in good performance, such as cellophane, BOPP, PET, PVC, PE, aluminum foil, and paper, with wide application for all types of high-end presswork. 1. In permutation and combination style, with possible addition and reduction of printing color class and addition of reverse printing mechanism as required by customers. 3. Variable frequency motor for the control of main engine, traction and rolling. 5. Computer overprint with optional static detection menu. 6. Shaftless air-ejection printing plate for easy replacement. Pneumatic backpressure scraper for three-position adjustment. Dual-cylinder swing arm type roller imprinting. 7. 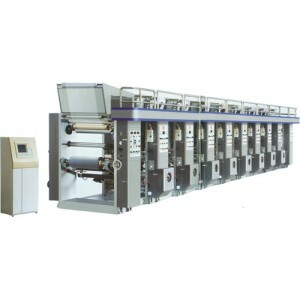 Sealed hot air oven for automatic control of constant temperature. 8. All guide rollers of the complete machine undergone anodizing and static and dynamic balance processing. Please sign in to view Buyer Info. If you are a visitor, You can join free now.